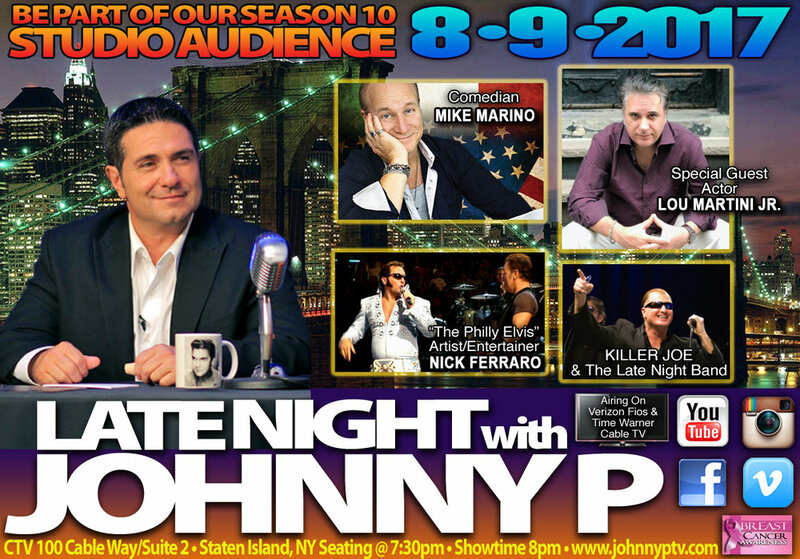 featuring director Tom Baldinger of the new indi film "Who's Jena" with actors Garry Partore, Bill Sorvino & Edwin Guerrero, comedian Larry DiGregorio, author/actor Karen Goeller & Neo Psychedelic Rock Band "Not From Concentrate"
May 28, 2015 will be the next taping of The Late Night With Johnny P Show. 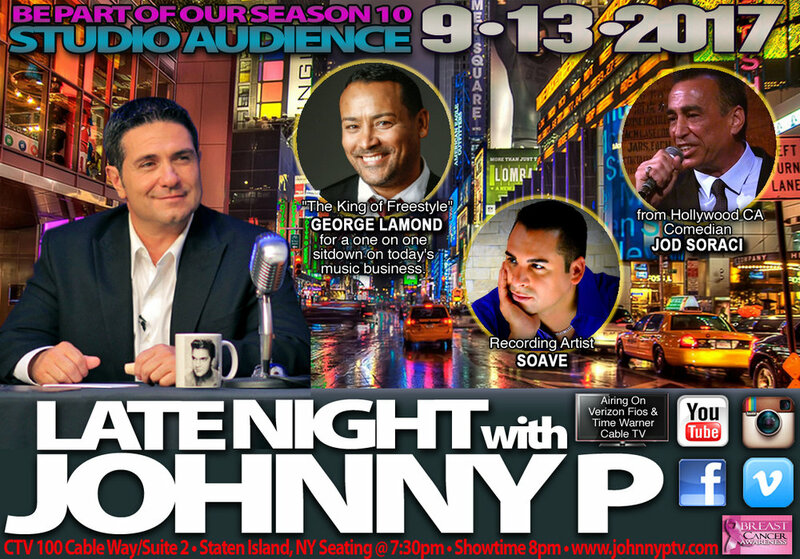 If you would like to be part of the studio audience go to our website www.johnnyptv.com, click on show tapings & fill out your name. 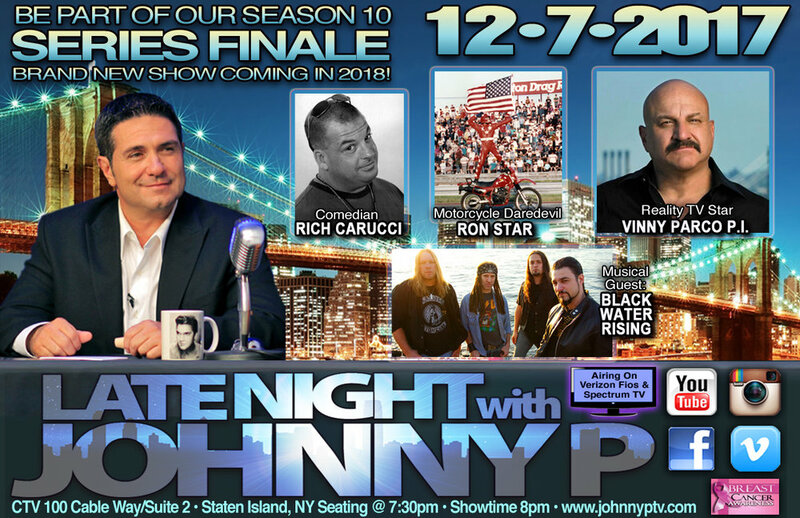 — with Steve Stanulis, Bob Greenberg, Modesto Rubino and Donnie Tranchina.